It’s a wonderful thing to add flowers to our vegetable gardens to attract pollinators. But I feel that it’s REALLY important to feed our souls as well as the pollinators when we’re gardening. For me, growing heirloom flowers is a way to do just that. 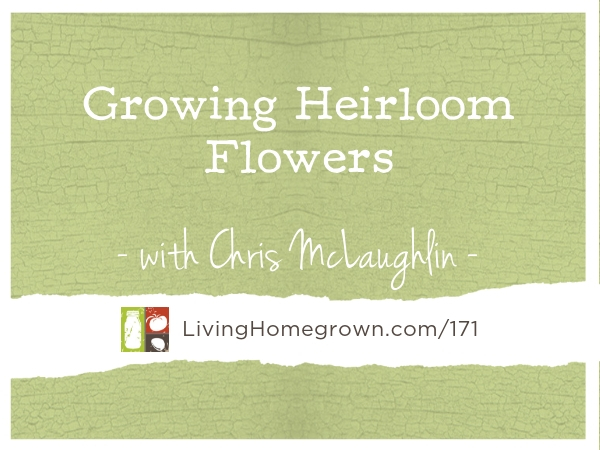 What is an “heirloom” flower and why are they so special? 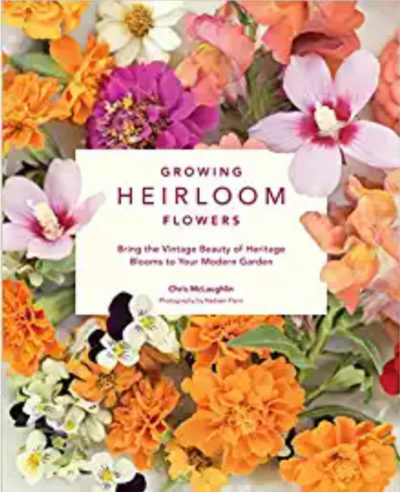 That’s what we answer on today’s podcast episode, where we explore the many benefits of adding vintage blooms to our gardens with garden author, Chris McLaughlin. She shares her insights into these treasured plants, why we need to add more flowers to our veggie gardens, and why heirlooms hold a special place in our hearts. Plus, Chris shares her recipe for making lavender-honey simple syrup, which is awesome in SO many different drink concoctions. Chris McLaughlin is a Northern California writer and author who has had her hands in the soil for nearly 40 years. She’s the author of seven books including, Growing Heirloom Flowers (Cool Springs Press) A Garden to Dye For (St. Lynn’s Press) and Vertical Vegetable Gardening (Alpha Books). Chris’ work can be found in Hobby Farm Home Magazine, Urban Farm Magazine, The Heirloom Gardener Magazine, Now Mother Earth Living, and Fine Gardening Magazine. 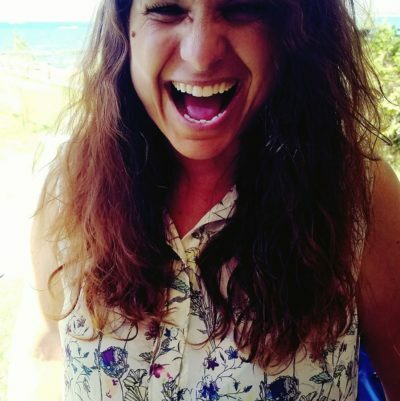 Online, she’s written for a variety of gardening sites including Vegetable Gardener.com, Fine Gardening.com, About.com, Fix.com, and From Scratch Magazine. Chris and her family live on a flower and fiber farm in the Northern California foothills, where they grow flowers, fruit, and vegetables and Angora goats. You can track her down at her personal website flowersink.com. Chris has shared her Lavender-Honey Simple Syrup Recipe with us. Click the button below to download it as a PDF.